Oh Netflix, you've become a great ally in combating boredom and insomnia, sometimes both at the same time. I'm sure all of you have gotten to the same point that I'm at right now which involves binge-watching a show then feeling empty once that show ends, which leads to binge-watching another show. I've watched Dawson's Creek, Charmed, and Greek, all the while watching my daily shows on ABC and Fox. Yes, I admit it, I'm a TV junkie. No shame here! I especially love watching my shows while baking or cooking, even though it consists more of listening to them instead of watching. I angle the TV in a way in which I can directly look at it from the counter as I'm figuring out what recipe to try out next. I can't even begin to tell you how many episodes I can knock out in a day by doing this. It may not be too healthy, but hey, some people listen to music while cooking, some listen to audio books, so I prefer to listen to TV shows. It ironically helps me concentrate on what I'm doing in the kitchen. Actually, come to think of it, having the TV on in the background helps me concentrate on everything from reading, to doing homework, to balancing the checkbook, to planning my meals for the week. Speaking of meal planning, I've made sure to include this smoothie as part my breakfast every day since I first made it. 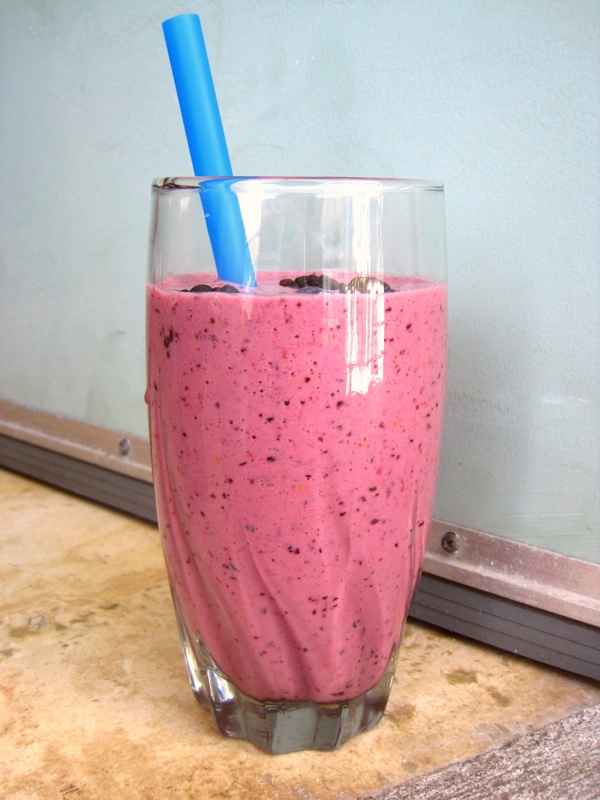 It's fruity, creamy, satisfying, and easy to change up by adding bananas or any kind of berry you'd like. It can also be the main part of a meal or can be had as a snack. Have fun making different kinds of bonanzas, maybe even while watching a great TV show! "Deep lilac and pleasantly smooth." 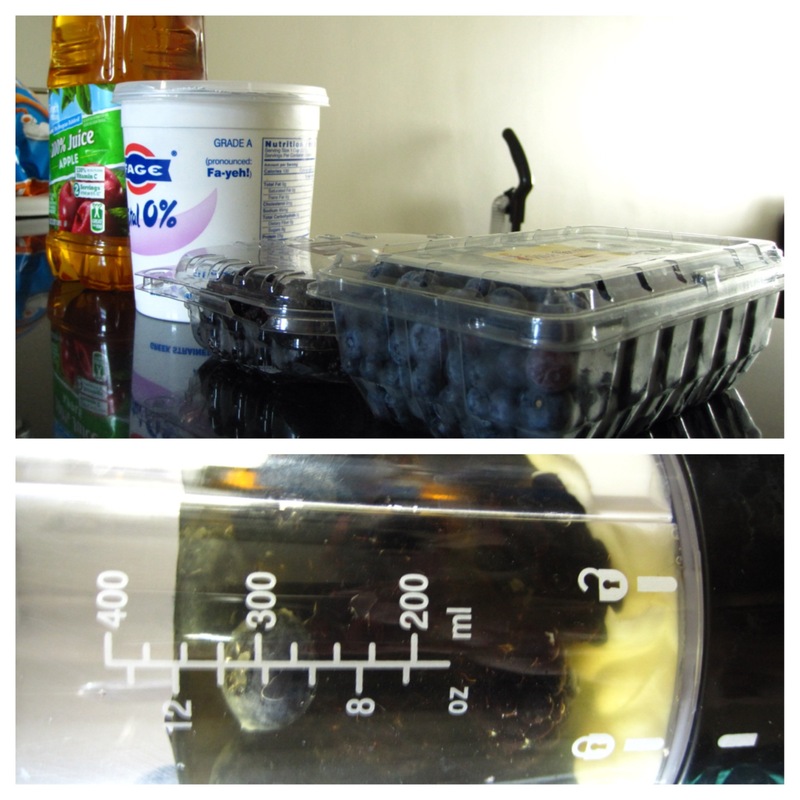 1) Place the apple juice and yogurt into the blender then add the berries and blend until smooth.